The Princess Festival is returning to University Place for a 2nd year. This participatory entertainment is for boys and girls to dress up in Princess or Superhero costumes and have fun with classical princess characters and especially with our unique Princess Festival characters who teach important lessons as part of their exciting adventures. This year the Festival will teach the Princess Festival proverb, “You become MORE THAN A PRINCESS when you care about and serve others”(TM). Plan to spend a couple of hours with us and your child(ren). Choose a good start time and come prepared for a great outdoors event at University Place. Each paying participant will receive a free copy of the illustrated booklet “Poor Begger Girl?” from the Princess Festival collection of stories. A $9.99 value. 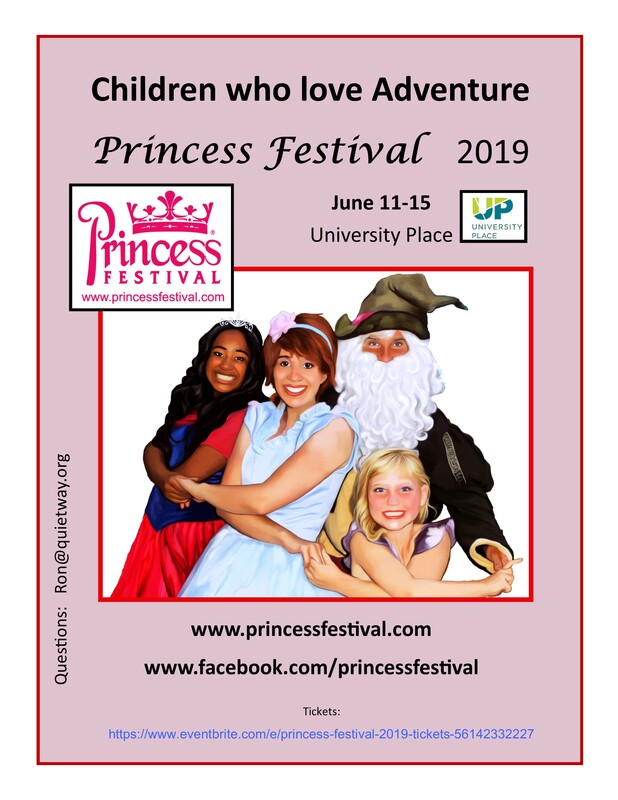 For more information and tickets visit the Princess Festival website here.